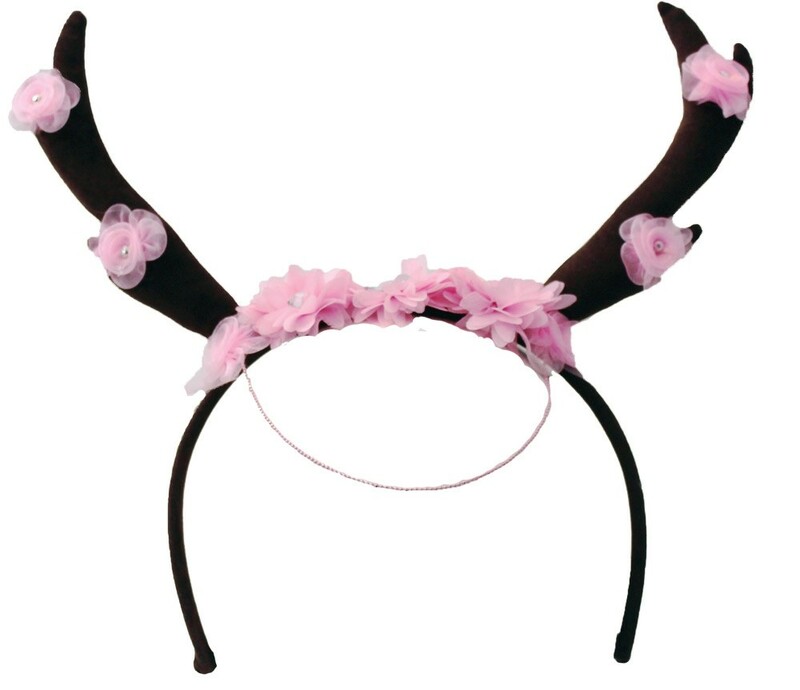 The perfect accessory for your fairy nymph or goddess cosplays! 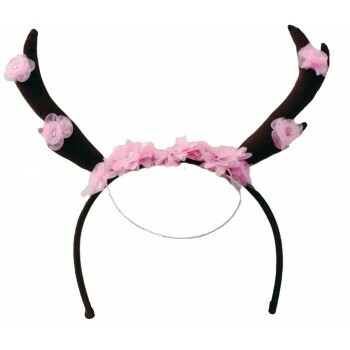 Antler headband has sheer ribbon rosettes with rhinestone centers and a delicate pink chain to accent your forehead! Pretty! One size fits most.